The North Delhi Municipal Corporation will carry out a feasibility survey to assess if public toilets in its area can be opened during night time, its mayor today said. NEW DELHI: The North Delhi Municipal Corporation (NDMC) will carry out a feasibility survey to assess if public toilets in its area can be opened during night time, its mayor today said. Addressing a press conference at the Civic Centre here, North Delhi Mayor Preety Agarwal also announced that all 104 wards of the NDMC are now open defecation-free. "From December 31, 2017, now all 104 wards under the jurisdiction of the NDMC are open defecation-free. North corporation has adequate number of community and public toilets as per the yardsticks of the Swachh Bharat Mission," she said. There are 314 community toilet complexes (CTCs), with 3,508 seats for men and 3,232 seats for women. 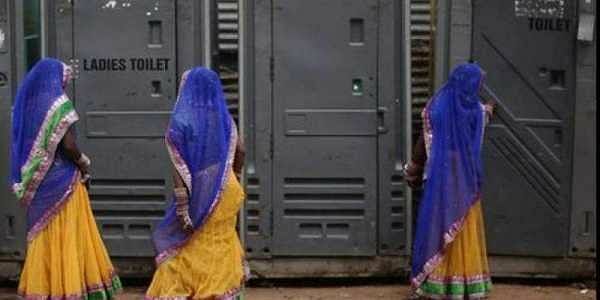 Besides, there are total of 2,063 seats of men and 3,256 seats for women available in public toilets, including the ones at petrol pumps, restaurants, metro stations and DDA markets falling in the areas under the jurisdiction of the corporation, she said. When asked if there was any proposal to keep civic toilets open during night time also, Agarwal said, "Security is one main reason to keep our toilets closed at night." "But, we will do a feasibility survey to see if we can have security measures and keep the toilet open at night too, so that people can benefit from it," the mayor said. NDMC officials informed that of the total number, 10 new toilet blocks are those which have been newly-built while other facilities have been upgraded. Municipal Commissioner Madhup Vyas, who also addressed reporters, said, this ODF will "go a long way in improving the ranking" of the NDMC in Swachhta Survekshan ranking. In the Swachh Bharat reckoning of 434 cities for 2016-17, areas falling under the three municipal corporations were at a low -- the EDMC (196), SDMC (202) and NDMC (279). When asked if any penalty measures were being contemplated for offenders, who urinate or defecate in the open, the mayor said, "we have the 'Roko Toko Seeti Bajao' campaign, which will also educate people". On another question, Vyas said work is going on to put hanging electrical cables in Old Delhi area, underground, starting with Chandni Chowk, Lal Quila and Jama Masjid areas. "We are also implementing the rule for proper and uniform signage for all the shops, to beautify the area. We have discussed it with market associations, and the feedback is very positive, except on same colour boards, on which we will discuss further," he said.